Nursery pupils have a choice of purchasing school meals at £1.90 per day or bringing a packed lunch. All pupils will receive a school meal free through the Universal Infant Free School Meal scheme. These pupils have a choice of purchasing school meals at £2.00 per day or bringing a packed lunch. 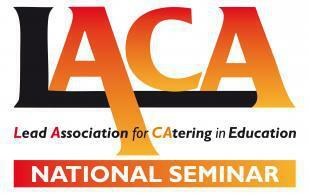 Our school is now a member of the Lead Association for Catering in Education. We aim to work to maintain high standards in the school catering service, and thus make a major contribution to the health of future generations. Our menus can be viewed by following the link at the bottom of this page. All children in Key Stage 1 will be entitled to Universal Free School Meals from September 2014. At Waverley we cater cater for those who have particular dietry requirements but we also expect parents and carers to take up the free school meal entitilement so that all pupils can sit together for a nutritious lunch.